learning experience for children between the ages of 2.9 and 5.0 years. Echo Falls Preschool offers a supportive and nurturing developmentally appropriate environment in which children can maximize their competence levels and growth potentials. The program has a strong emphasis on promoting children’s social/emotional development, physical development, and cognitive/language development. Creative expression is encouraged at all times. Special attention is given to each child’s developmental level, and each child is respected for his/her individuality. 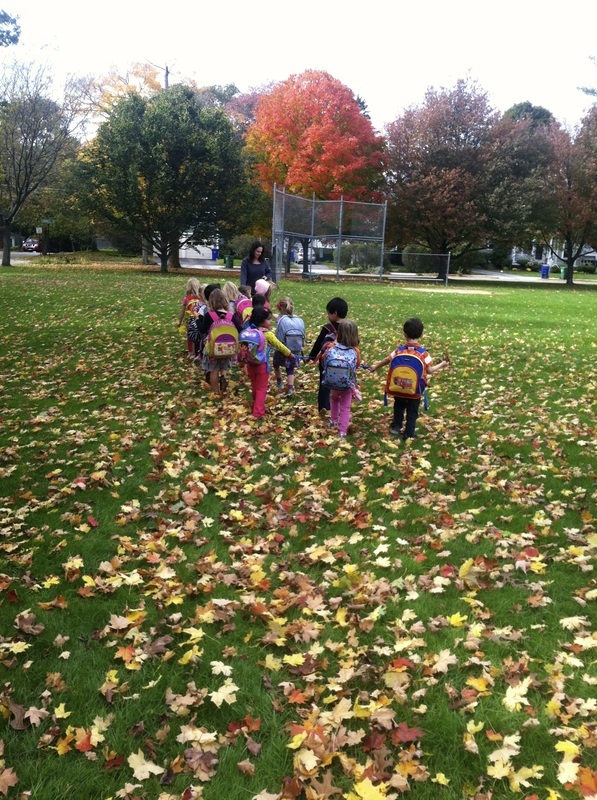 Children are considered active learners at Echo Falls Preschool and they are given many opportunities to explore through direct physical contact with the environment. The program offers a ‘theme-based’ curriculum in which a specific theme is explored through discovery-oriented learning centers such as: the ‘everything table’, the ‘discovery’ table, the art area, the cooking area, and the reading area. Aspects of the chosen theme are also discussed and focused upon during ‘meeting time’. The weekly theme may also be reflected in the daily music and movement activities as well as in the children’s dramatic play. There is a large big block building area where children use various dramatic play accessories to explore all kinds of thematic play and games. Fine and gross motor skills are practiced and mastered through puzzles and small manipulatives, and also through climbing, running, balancing and swinging during outdoor play. Problem solving and negotiating, following directions and routines, respecting limits and other’s rights, learning self-help skills and autonomy, and sharing and learning how to ‘be’ and ‘have’ a friend are only some of the many goals of the program. *Healthy Eating Habits *Thematic Developmentally Appropriate Curriculum* Get Set for School (Handwriting without Tears) readiness approach * And a : “Love to Learn” / “Learn to Love” preschool climate! The environment of Echo Fall Preschool is completely set up to be child-centered and operated by the children themselves. The physical environment encourages mastery and offers many opportunities for the children to experience the successes needed to build positive self-concepts. Responsibility and cooperation are other concepts which are fostered within this unique environment. The school is located in the Lower Falls Community Center and is leased from the City of Newton through the Parks and Recreation Department. There are two large classrooms, a gym, extra classroom space, and there is a BRAND NEW large outdoor playground (as of Fall 2013!) complete with adjacent tennis courts, basketball courts and a huge side field. There is also a “community garden” on our property - we collect and add our compost to the garden and watch things grow! "Echo Falls is a hidden gem of a preschool. The moment we entered the classroom, we knew we wanted to send our three children to this wonderful, nurturing, play-based program nestled in the heart of Lower Falls- beautiful new playground, large classrooms, and a gymnasium. Not a basement preschool!! The teachers are highly qualified and have been there for years- some have been there for decades! My children were exceptionally prepared to enter kindergarten after their years at Echo Falls. We moved from Newton Lower Falls to California in 2012, and are still searching for an "Echo Falls" here. It is a truly joyful place for young children." —Submitted by a parent - See more parent testimonials at the www.greatschools.org website"